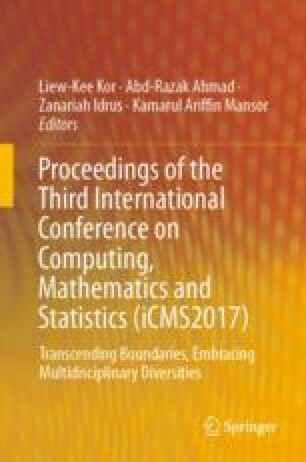 The main purpose of this paper is to study the pricing of the Asian option by using Gauss–Seidel iterative method via the finite difference approximation equation. Actually, Asian option is an option that is taking the average price of the underlying asset over the lifetime of the option. To solve the proposed problem numerically, a two-dimensional Black–Scholes Partial Differential Equation (PDE) governing the Asian option is discretized by using the second-order Crank–Nicolson discretization scheme. Then, the linear system generated from the discretization process is solved by using Gauss–Seidel iterative method. The results of the numerical computation were shown and discussed.